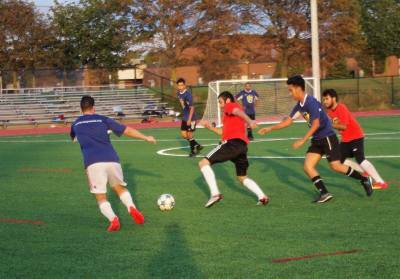 The league Thursday Spring Mens League @ Heart Lake Brampton (Spring 2018) is no longer available. We suggest the following league instead. 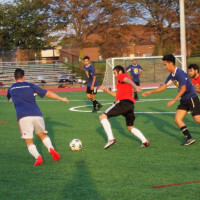 Registration is now open for Toronto Footy Sevens spring 2019 season of 7v7 soccer. We are excited to be entering our second full season in Brampton, after a very enjoyable and sucessfull 2018 campaign that saw over 100 teams participate. We are eagerly anticipating the 2019 league programs at the brand new Heart Lake Secondary School turf field at 296 Conestoga Drive, Brampton. You can sign up a whole team, register with a couple of friends and be placed on a team or join as an individual and be placed on a team with players of a similar level. 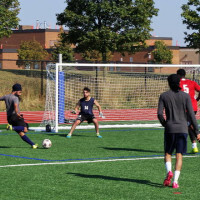 Every week, all of the league games will be played at the same venue, on the only turf field in Brampton designed for 7v7 soccer. No more travelling across town to play away games: every night is a home game! Our fields are fully lined for 7-a-side, floodlit with a brand-new LED lighting system and separated by divider nets, so no time is wasted chasing after balls that have gone out of play. The field itself will feature Fieldturf's FIFA-grade "Revolution 360" artificial turf (the choice of some of the top sports teams in North America). The turf was chosen to give the best possible combination of playability and player safety regardless of the weather and time of year. 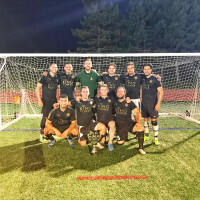 For each league we'll grade each team and split the league into different divisions to try to make sure you are playing against opponents of a similar skill level whether you are an experienced team, or just out for fun. All of our games are fully refereed and we'll have a coordinator at the field each night to ensure your night of footy goes smoothly. 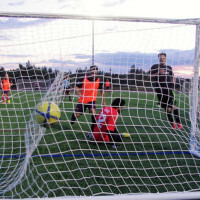 Format: 7-A-Side (6 + goalie), Outdoor Field Turf, Men's, 60 min Games, Referees and Goals. Skill Level: League will be split into divisions based upon skill level. Price For Team: $699 + TAX; You will be able to secure your space with a $250 deposit. Price For Individual: $85 + TAX; Price includes climate t-shirt. We promise to Never overload the individual teams with players.